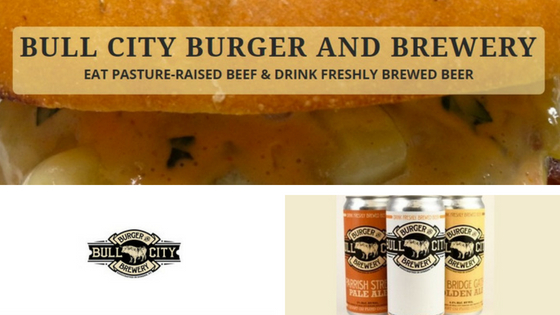 Bull City Burger and Brewery is an independent, locally owned restaurant and craft brewery. 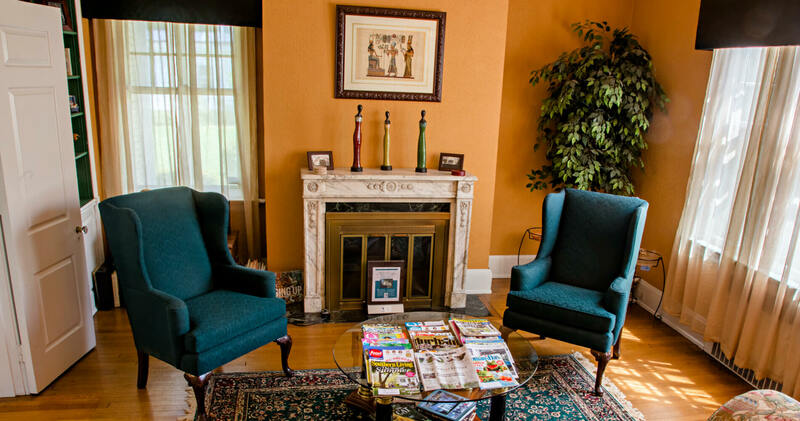 Located at 107 East Parrish Street in Downtown Durham, they opened in March of 2011. With around 90 seats inside the restaurant plus 50 seats outside (they have year round patio dining), Bull City Burger and Brewery serves both lunch and dinner every day of the week. Bull City Burger and Brewery prides themselves on being farm-to-fork by working closely with North Carolina farmers supplying beef (with no added hormones or antibiotics) and fresh vegetables such as tomatoes, cucumbers (for pickles), and lettuce. They grind daily to make their hamburgers and all-beef hot dogs. Nearly everything on their menu is produced on-site including their house-made buns, sauerkraut, and bacon. They use no artificial sweeteners, no high fructose corn syrup, and no hydrogenated oils. They offer fine dining in a burger joint. The last part of their name (Brewery) accurately reflects that they are a full scale working brewery and they brew their own beer. With up to eight beers on tap at any given time, Bull City Burger and Brewery creates fresh ales and lagers, rotating with the seasons. They use just malt, hops, yeast and water to craft their beer, leaving out adjuncts and additives. Bull City Burger and Brewery are champions of style since they brew authentic tasting beers representative of the regions and countries where the beers originated. They include ingredients like jalapeños, chocolate, smoke and whatever seems like it might taste good in a beer. Dedicated to wine and featuring farmer-made, estate-grown and bottled wines from around the world, Bull City Burger and Brewery serves on-tap via the Enomatic self-serve wine-dispensing machine. Central to Bull City Burger and Brewery’s core values is sustainability; their attempt is to operate while leaving the smallest energy footprint possible. Their long term goal is to become part of a cycle of energy with the restaurant playing an integral role in the farms we source. The grain that is left over from the brewing process gets fed to locally farmed pigs and chickens that provide pork bellies to make their bacon and eggs for their over easy burger. This puts nearly zero food waste into landfills. The fryer oil becomes bio-diesel to fuel vehicles. Official brewery tours happen at 4:00 PM almost every Saturday. Must be 21 or over. Their long-term goal is to become part of a cycle of energy with the restaurant playing an integral role in the farms they source from. Sunday, August 26, 2018, from noon to 4 pm, Bull City Burger and Brewery and Pompieri Pizza present the First Annual Durham Underutilized Food Festival featuring NC sweet potatoes and NC pasture-raised pork spare ribs. Vegetarian and vegan options will be available. This delicious food festival takes place on their backyard patio. This entry was posted in Food and tagged Bull City Burger and Brewery, Durham by admin. Bookmark the permalink.